The Freeway Diner on Deptford’s Route 41 closed 18 months ago with immediate rumors of Starbucks and an auto retailer moving in. And then nothing happened. Well this week, Greg Wisnowski of Equity Retail Brokers has confirmed that Starbucks has signed the lease for a full Starbucks store! 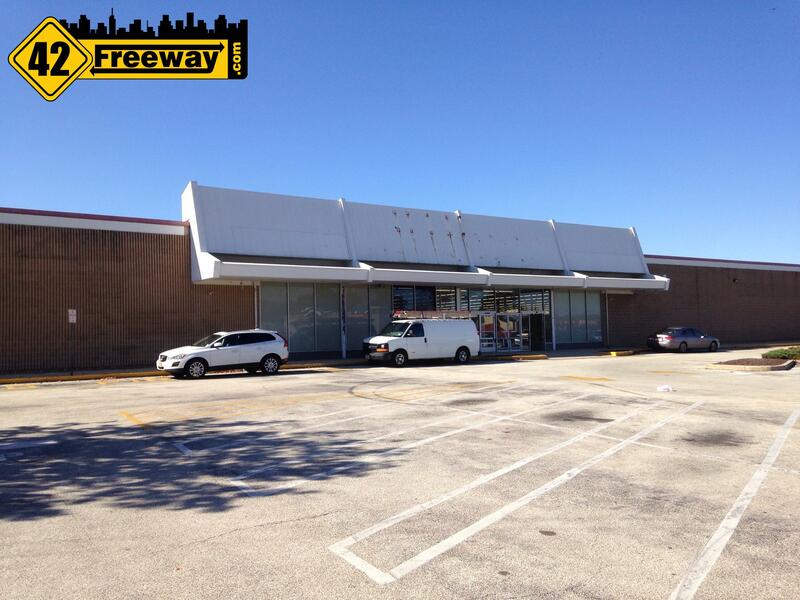 There will also be a separate 6,000 square foot building which has a lot of interest from other retailers. Greg says they are targeting a 2017 opening for the Starbucks store. Looking at the site plan at the Equity Retail Broker site, the Starbucks will be located much closer to the U-Haul rental facility so that it can have access to Route 41 in both directions (closer to the traffic light the road is divided). The site plan also indicates that the store will have a drive-through. The other, still to be leased 6,000 square foot building will be closer to the intersection. To keep the buildings close to the roadway for visibility, parking will be in the back of the L shaped lot. This will actually be Starbuck’s THIRD location in Deptford, but its first full store. The other two locations are in the Barnes and Noble, and also the center court of the Deptford Mall. All three locations are no more than 1/4 mile apart, but are obviously catering to different consumers. The existing two are really for people who are already inside the larger retail stores, while the new full Starbucks will cater to those on their way to work and stopping in from home. This is the same intersection that work has started to build the first of two new hotels in that immediate area, and very recently the Mission Barbecue store opened up at the site of the old Bally’s Gym. This small portion of Route 41 with its entrances to Route 42 and growing business is becoming a strong retail and hotel corridor, continuing the success seen on the other side of the mall on Almonesson Road which has also seen an amazing transformation. I don’t think this is the last of the growth. Just past the Starbucks and new hotel locations, Route 41 turns into woods and unused land (with homes) before reaching the Home Depot about a mile down the road. 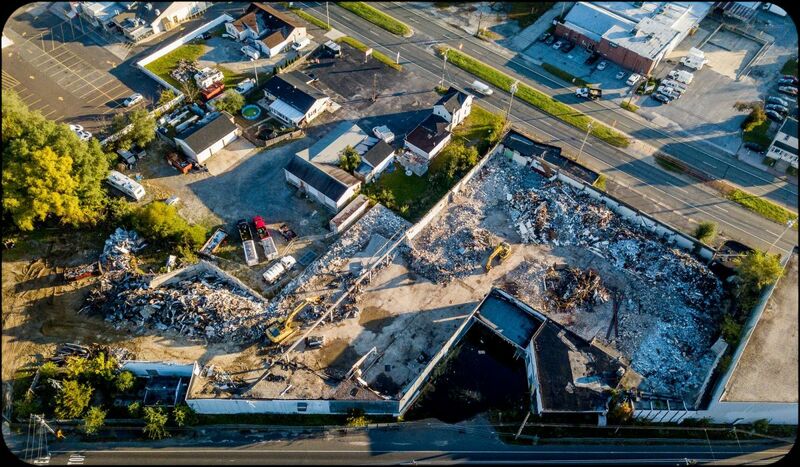 This area used to have a large Tennis and Raquetball Gym Facility. This particular plot at one time was to be the location of Deptford’s first Walmart, and is currently owned by the Brown family who own several Shoprite stores in the area (including Brooklawn) and at one time there were plans to build a Shop-Rite at this location, but those plans never came to fruition. If you are interested in leasing space within this new retail location, please contact George Wisnoski of Equity Retail Brokers. Contact information can be found on his site. 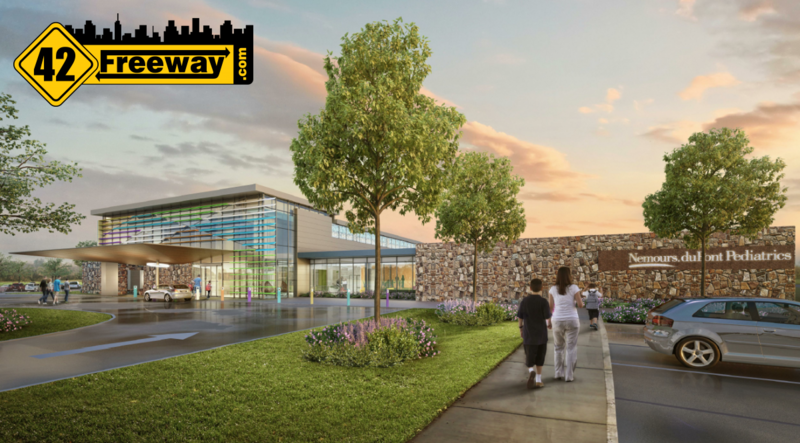 42Freeway.com gives a quick and exclusive look at the the upcoming 63,000 square foot pediatric medical facility coming to Deptford Twp. Continuing its impressive streak of new store announcements, Deptford scores another win with the planned opening of a Forman Mills store to be located in along Clements Bridge Road, close to the mall. Other details and store location are in the article link!